He was born in Bloomsbury, London. In 1717 he became a member (and later vice-president) of the Royal Society of London. Hadley died in East Barnet, Hertfordshire, in 1744. The octant is used to measure the altitude of the sun or other celestial objects above the horizon at sea. A mobile arm carrying a mirror and pivoting on a graduated arc provides a reflected image of the celestial body overlapping the image of the horizon, which is observed directly. If the position of the object on the sky and the time of the observation are known, it is easy for the user to calculate his own latitude. The octant proved extremely valuable for navigation and displaced the use of other instruments such as the Davis quadrant. 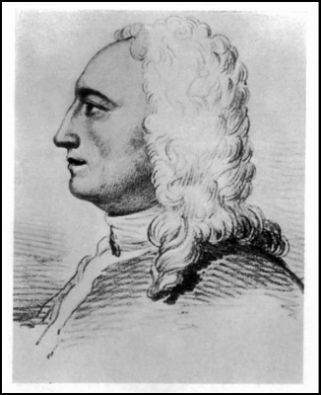 An American, Thomas Godfrey, independently invented the octant at approximately the same time. 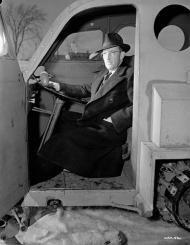 Hadley also developed ways to make precision aspheric and parabolic objective mirrors for reflecting telescopes. In 1721 he showed the first parabolic Newtonian telescope to the Royal Society. This Newtonian, with a 6-inch-diameter (150 mm) primary mirror, compared favorably with the large aerial refracting telescopes of the day. He also made Gregorian telescopes with accurately shaped mirrors. Mons Hadley and Rima Hadley on the Moon are named after him. The Oasis Trust Academy in Enfield Wash is called Oasis Academy Hadley in his honour. His parents were Katherine FitzJames and George Hadley. His younger brother George Hadley was a noted meteorologist. On 6 June 1734 he married Elizabeth Hodges who herself was wealthy. They had one child, a son John born in 1738.